BZ LC – BZ Laser Company of USA is worldwide distributor and service operator of Leiming CNC Laser Equipment and Senfeng Laser Technology. In 2018 group is leading manufacturers of fiber laser cutting equipment, providing professional metalworking machines for worldwide customers in 137 countries. Since 2004 companies adhering to the concept: „Making laser cutting equipment to be the essential partof metal processing”. 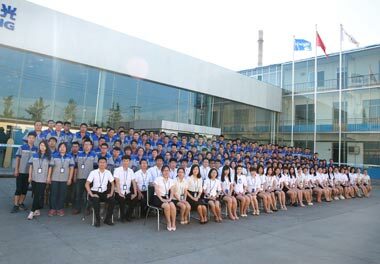 Manufacturing plants are located in northern China for best accesibility to high skilled engeeners and technicians and total quality factor. Both BZ Laser partners Leiming and Senfeng are mainly engaged in the development plus production and BZ Laser is busy active in sales of fiber laser cutting machine. Leiming and Senfeng fiber laser cutting machines distributed by BZ Laser LC are widely used in precision machinery, mechanical equipment, electrical equipment, chassis cabinets, electrical enclosures, sheet metal processing, kitchenware, stainless steel processing and decoration, advertising signs, metal electronic components and other industries. Our fiber laser cutting machines have high precision and stable performance to ensure the cutting needs with power up to 12 kW since 2017 for guarantee the top cutting speed. Main BZ Laser partner’s Leiming manufacturing plant size is over 50 000 m² (square meters). The ground was painted for making a clean & green environment for fiber laser cutting machines’ producing. BZ Laser can supply you different kinds of fiber laser cutting machines used in all kinds of indsutries, like metal plate and pipe fiber laser cutting machine, fiber laser cutting machine with shuttle (exchange working table), automated sheets magazines and other popular models. Laser power can be up to 12 kW begining from 300w, 500W, 1000W, 1500W to 2kW, 3kW, 4kW, 6kW, 8kW and so on. Leiming fiber laser cutting machines can meet your requirements in different industries. Leiming Laser have all CE / FDA / ISO9001 certification, and is covered by 50+ international patents. BZ Laser partner Leiming has been specialized in manufacturing fiber laser cutting machines for 15 years. Our fiber laser cutting machines sell well at all continents in 137 countries. We established a good cooperative relationship with manufacturers and distributors in lots of countries. Our fiber laser cutting machines are sold well in international markets such as North and South America, Europe and specially European Union, Middle East, South Asia, Africa, Russia, etc. Stable and reliable optical system and control system, the cutting surface is smooth and beautiful thanks to best laser source from IPG and Raycus. 3 years machine warranty and 2 years guarantee period for fiber source! The warranty period of fiber module is 2 years, all other machine parts are 3 years counting from the date on which the commodity arrives at the port of destination. As a BZ Laser customer You are safe covered with 15 years of manufacturing experience of our partners in laser cutting machine production and strong research and design ability. 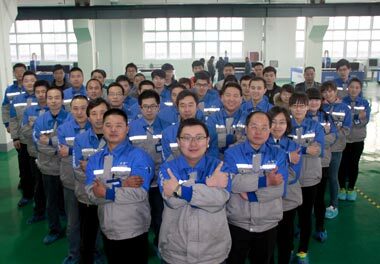 More than 30 R&D and 35 technical Service & After Sales Engineer can provide technical support for the customer all over the world.